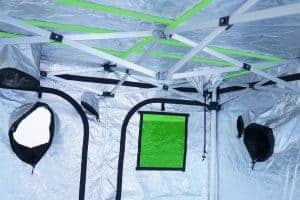 Green-Qube’s Quick Qube grow tents have changed the grow tent market with being the first grow tent to upgrade its frame from steel to aluminium. The Quick Qube grow room has a patent-pending frame that is based on an industrial gazebo so it simply pops up! No poles or connectors, just an instant frame. The other significant difference is the Quick Qube grow tent frame is aluminium and not steel. But what advantages does this bring and how can it enhance your growing experience? Let’s delve a little further. Aluminium is known as the “King of Metals” and has been a key driver to so many pioneering and innovative developments not only on planet earth but also in space. It’s essential and superior properties have ensured that it has played an essential and key role in rocket development and is directly tied to the advancement of aircraft and rocket technology. NASA used and developed aluminium for its rockets since 1903, due to it being lightweight and ability to withstand extreme stresses of launches and operations in space. Although expensive it is the metal of choice for so many revolutionary and technological advances. Steve Jobs recognized both the beauty and strength of aluminium, creating a thin, light product line of laptops, iPads and iPhones. Aluminium will never rust so you don’t ever have to worry about corroded poles. You can relax in the knowledge that your grow room frame won’t start rusting even after years of use. 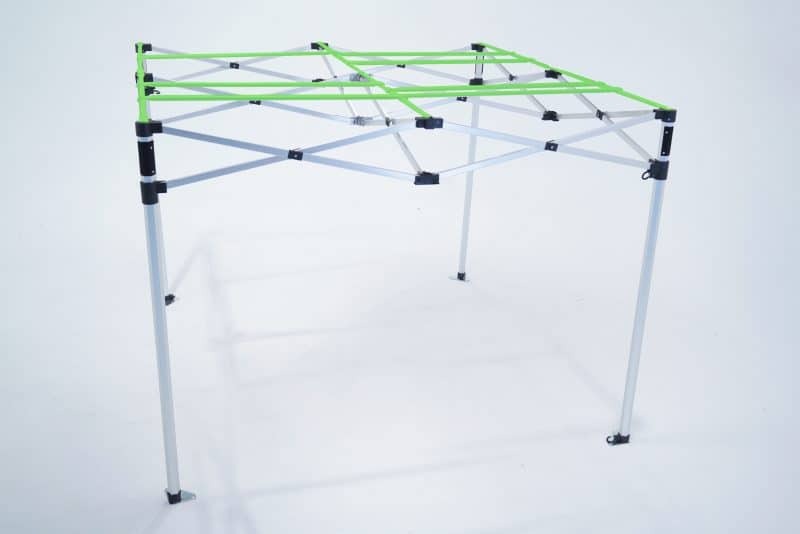 Green-Qube grow tents have powder coated poles to prevent rusting however this is not a fail-safe and rust can occur after prolonged use unfortunately. With aluminium you can be certain to have a rust-free tent forever. Steel is often seen as stronger than aluminium however in our Quick-Qubes the aluminium has incredible strength due to its 40mm x 1.4mm thick frame. The reason we can offer such a super thick and sturdy grow room frame is that aluminium is lightweight. We have invested and increased the size of frame bars to provide the ultimate in strength but as aluminium is so lightweight we have been able to do this without making the frame unusably heavy. Whilst our Green-Qube and Roof-Qube grow tents were the strongest on the market with a hanging weight of over 100kg, the Quick-Qube blows this out of the water and can hold 100% more. With 150kg hanging weight the Quick-Qube can support pretty much anything! This strength means that it is less likely to break, bend or get damaged. It truly has super powers! A lightweight frame makes it a lot easier to move around. If you are growing upstairs then you can easily move the frame around. 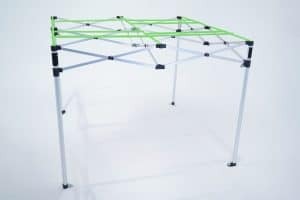 It makes it easier to put the grow tent up and down. Plus if you are storing it between grows it is a much more simple process with a frame that is not only lightweight but also in one piece so you don’t have to worry about losing any parts. 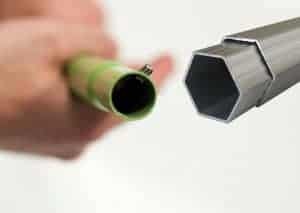 Green-Qube has proud to now introduce aluminium to the grow tent world. The natural evolution of product development means that companies that want to advance their products and brands and offer their customers something superior and high end then aluminium is on the cards. Get the Quick-Qube grow room into your house and see how aluminium can directly benefit your growing experience.